-Improved description and OS requirements. 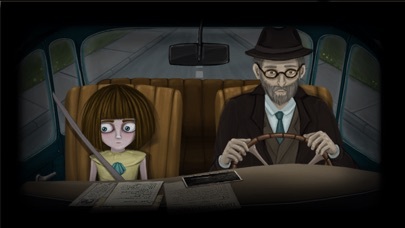 IMPORTANT: New iPad, 3rd Generation, iPad Mini 2, iPod Touch 6th Generation and later devices with at least 1 GB of System Memory--RAM or more) are strongly recommended when playing the Fran Bow apps. 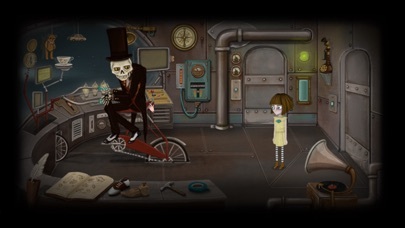 Older devices may experience crashes or not play the Fran Bow apps at all. *Story driven creepy psychological horror adventure game. *Unique and peculiar hand drawn 2D Art-Style and 2D animation. *Self administer medication to open the terrible hidden world that will help solve puzzles and find objects. *A big variety of puzzles designed with different levels of difficulty and specifically based on the story. *Three arcade inspired mini-games all with different art style to be part of the transitions in the story. *Interactive and occasionally playable pet cat, Mr Midnight. *50+ interactive unique characters with unique personalities.